Nearest users add-on creates a new search page with an interactive map. Your dating site members can search for other people by radius, their own location being the starting point. The pattern by default is a circle. If you wish to use some other shape, for example free choice of the form, please contact the Experts team for free estimate. 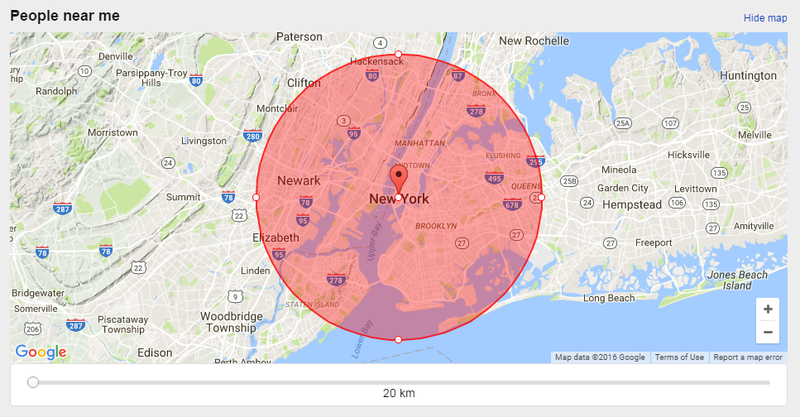 You can also indicate maximum search radius as well as allow users to move the center point of the search.